When choosing your outdoor shutters, you’ll want to take into consideration what elements your climate will expose them to. This will determine how much time you want to take when finishing them. Another consideration when choosing a wood is in regard to your desired finish. If you plan to stain your shutters, you might want to choose a wood with a grain that is more visibly appealing. 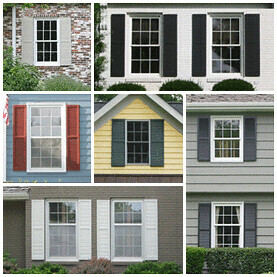 If you plan on painting your shutters, you are probably safe to choose any type of wood suitable for exterior conditions. Walking into a lumber store can be overwhelming. Below are some examples and explanations to help you choose the right wood for your project. The best part about using fir is its availability. Because it is so widely used and plentiful, it carries a lower price tag. The disadvantage to fir is its inability to protect itself from weather conditions. For that reason, it must be thoroughly painted to stay protected from wet weather. Like fir, pressure-treated pine is another wood that is readily available and inexpensive. Although it is more expensive than traditional pine, it is still a good option because it is more resistant to weather changes. Like all soft woods, the disadvantage to pressure-treated pine is how much it swells and contracts as humidity levels change. Another soft wood that is a step up from the previous examples is cedar. The advantages of cedar are its natural resistance to changing weather conditions. It naturally repels water, and looks great unpainted, or with a light varnish. The only disadvantage to using cedar is its limited availability which is reflective with higher costs. Mahogany is a tight-grained hardwood that is extremely durable and resistant to changing weather conditions. Mahogany also has an appealing grain and is most often stained, but can also be painted. The downside to mahogany is its scarcity. It is grown in tropical climates, which limits its availability and gives it a higher price tag. You’ll want to take some time before jumping into your project to see just a few styles of window shutters that are available to you. Researching the different styles will help you decide on one that best fits your home. 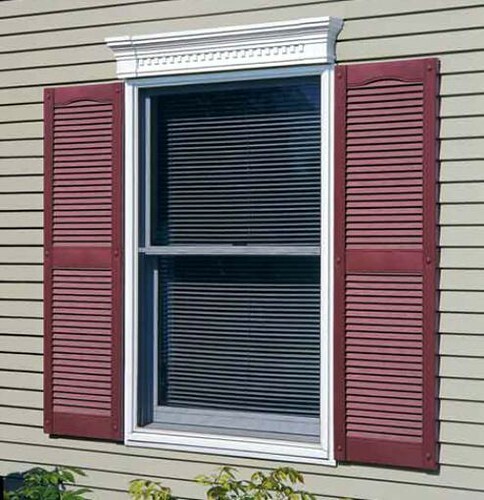 Below are some examples and explanations of a few window shutter styles to help guide your search. 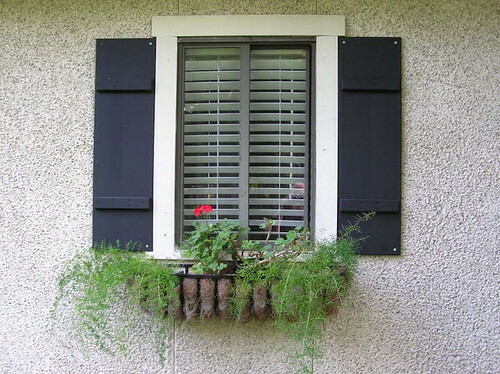 This particular style of shutter is probably the most popular since it is also the easiest to build yourself. Its look is quite similar to the construction of a barn door, where the slats are lined up vertically and braces are attached usually to the top and bottom of the slats to secure it. 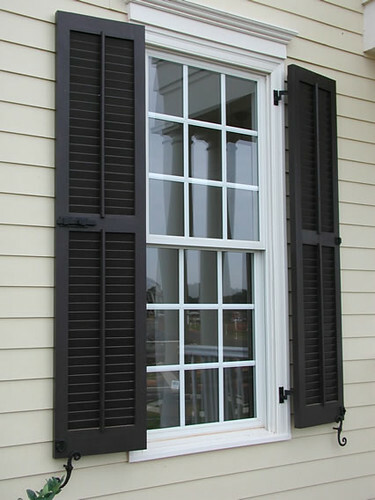 Louvered shutters are almost identical to interior window blinds, except they have a frame surrounding the slats of wood composing the louvered section. Louvered shutter styles can be featured with vertical or horizontal louvers. Most commonly used on doors, raised paneling is another unique style you can apply to your shutters. They usually consist of two square borders that frame a recessed section of flat wood. The most important part of your window shutter project is to make it fun. 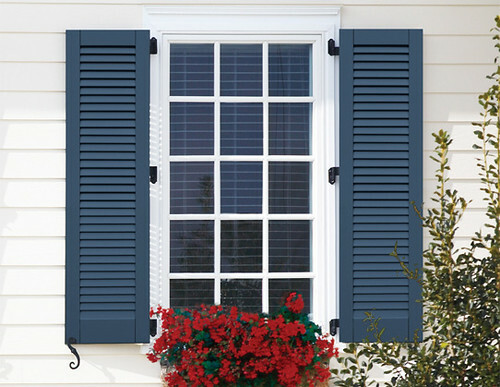 As you are constructing or installing your new exterior window shutters, keep in mind the beauty you will be adding to your home. Keeping your outcome in mind is a sure way to see your project through to completion. Bart Vale writes for companies that specialize in exterior wooden shutters. His desire is to help homeowners recognize the potential beauty their home holds. Bart hopes readers will use his advice to add value to their homes.